Dit boek telt 200 pagina's. 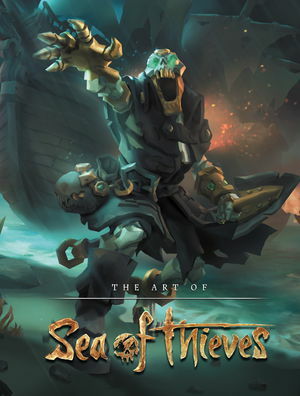 A high-quality collectible art book featuring over 200 pages of behind-the-scenes content from the hotly anticipated, shared-world video game Sea of Thieves! With Rare's new high seas multiplayer adventure Sea of Thieves, players will crew up in search of fortune and glory on their quest to become pirate legends. Now, with The Art of Sea of Thieves, Dark Horse Books is pleased to offer an unprecedented look at the ships, characters, and loot of this revolutionary online gaming experience! Featuring hundreds of pieces of art with commentary from the game's creators, this gorgeous volume explores the creation and development of a fantastical pirate world.